First Avenue Editions (Tm), 9781575056180, 48pp. Bronco Charlie longs for a life of adventure. By the time he turned eleven, he'd been a sailor, a cowboy, and could tame wild bucking broncos. 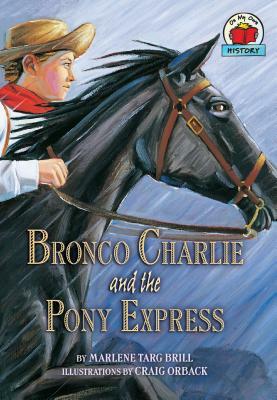 But Charlie was always itching for new challenges, and when a Pony Express horse shows up riderless, Charlie gets his big chance. The next station is fifty miles away, and Charlie will have to ride through rocky mountains in the blinding rain to safely deliver the mail. With the threat of hostile Indians, wild animals, and the dangers of riding at night, will Charlie find the courage to face his fears and prove that you're never too young to be brave?